Pulses and cereals are part of the grains that are cultivated in large quantities for human and animal consumption all over the world. They are among the other types of grains that include pseudo-cereals, oil seeds and whole grains. Pulses and cereals are edible components which possess immense health benefits hence produced predominantly for human consumption. Despite being characterized as grains, there are key differences between pulses and grains. This article unfolds these differences. Cereals are the grasses that belong to the Graminaceae or Poaceae family. 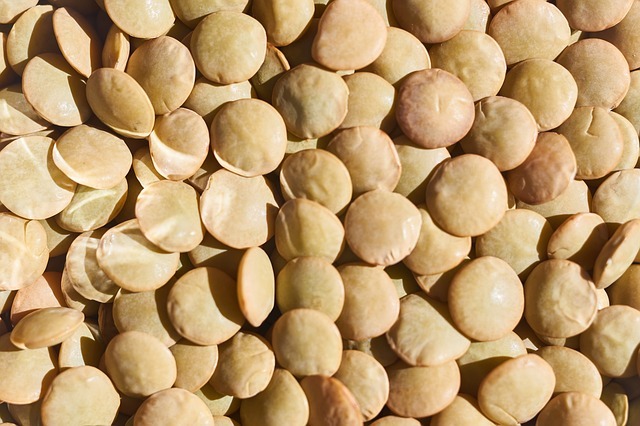 They are produced in large quantities than the pulses because of their high nutrient value of carbohydrates. All cereals are whole grains that were refined to remove the bran and the germ components of the grain. In general, whole grains possess minerals, proteins, oils and vitamins. The refinement into the endosperm leaves the cereals with the carbohydrates component. Commercial cereals are consumed mainly for their starch-rich content. The most common cereals include maize, rice and wheat which constitutes about 87% of grain production the world over, followed by the sorghum, oats, barley and millet contributing to the remaining 13% of grain production. Different parts of the world use the varieties of cereals as their stable foods. The endosperm component of the whole grains is the tissue inside the seed which possesses immense carbohydrate content. Bran is the outer layer which is used as the dietary fiber while the germ refers to the reproductive part that germinates into a plant. Some commercial cereal grains contain bran for its beneficial minerals and vitamins. Cereals found in commercial stores differ with nutritional benefits depending on which part of the grain has been used in refining the cereal. But majority of cereals are derived from white flour which possesses the endosperm and thus the carbohydrate content. The white flour also has the other minerals such as riboflavin, iron and thiamin added during production. All these combined, they have more nutritional value than whole grains. Because of a large quantity of carbohydrates, cereals are renowned for their ability to provide immense energy content and ability to prevent certain illnesses which include colon disorders, cancer, and blood sugar levels. Oat, barley and wheat, in particular, have ample fiber content beneficial to human body. The cereals that contain the bran part can benefit the human body with reduced blood cholesterol levels and mitigation of heart diseases. 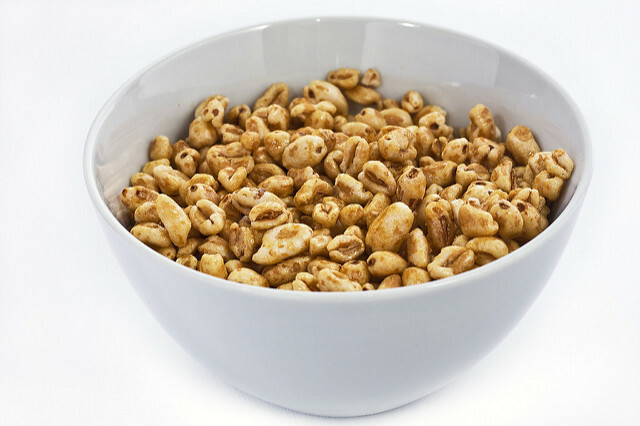 In most parts of the world, cereals are consumed in addition to the milk, which then provide a complete meal enriched with carbohydrates and proteins. During consumption, the breakfast cereals, in particular, can be combined with other additives such as syrup, honey and sugar as sweeteners to add taste. The types of cereals include the millets, oats, wheat, barley, corn, rice and maize. As part of dry grains, pulses are also produced for human and animal consumption. Unlike cereals, pulses grow in pots and often yield one to twelve seeds. They are known as the annual legumes that are rich in proteins and amino acids. Other countries such as India use pulses are the stable food. The United Nations Food and Agriculture organization has found at least 11 types of pulses which include dry peas, cow peas, vetches, pulses nes, Bambara beans, lupins, chickpeas, lentils, dry broad beans, pigeon peas and dry beans. Pulses come in various colors, sizes and shapes. Pulses are harvested as dry grains, unlike other crops that are harvest while green. Not only are pulses known for their nutritional value but also for their contribution to a sustainable agriculture. They can enhance the soil health and reduce the greenhouse gases. During cultivation, they require less water than other crops. Today, there are hundreds of varieties of pulses cultivated in the world. Cereals comes from the Poaceae family whereas the pulses come from the legume family, also called the Fabaceae family. Both cereals and pulses are classified as grains which are produced for human and animal consumption. Cereals often grow in all areas except the dessert and other unfavorable climatic conditions where areas are covered by ice. On the other hand, pulses grow in pots and are annual plants that yield from one to 12 seeds. In general, cereals are cultivated in large quantities than the pulses because of their immense health benefits of energy dispensation. Pulses contain proteins and oils whereas cereals mostly contain carbohydrates. However, some commercial breakfast are made of bran which contains vitamins and minerals. Most cereals are derived from white flour which, during refining process, contains minerals such as iron, riboflavin and thiamin added. The bottom line is that cereals are the leading energy suppliers to humans. The examples of pulses include dry beans, chickpeas, cowpeas, and lentils whereas cereals include rice, wheat, sorghum, corn, barley and maize. All cereals are whole grains that are refined to exclude the germ and bran components. As thus, the cereals are mainly made of the endosperm which contains large quantities of starch. But other cereals made of bran contain minerals and vitamins. Pulses can also contribute to a sustainable agriculture by enhancing the soil health and reducing greenhouse gases. Lusi Madisha. 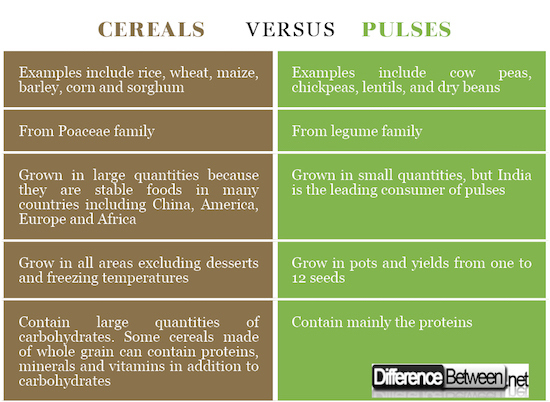 "Difference Between Cereals and Pulses ." DifferenceBetween.net. March 20, 2018 < http://www.differencebetween.net/object/comparisons-of-food-items/difference-between-cereals-and-pulses/ >. Nice article, learned something which was not kown to me. Definitely this article is going to change so many thoughts. Neil Palmer, (2013). Grain legumes come out of the shadows with major research program. International Center for Tropical Agriculture. Liangli L. Yu, Rong Tsao, Fereidoon Shahidi. Cereals and Pulses: Nutraceutical Properties and Health Benefits. John Wiley & Sons, 30 Jan 2012. Jayalath VH, de Souza RJ, Sievenpiper JL et al. (January 2014). “Effect of dietary pulses on Mat Chaudhry Green Gold: Value-added pulses.